When learning about art styles in pictures books, I was drawn to the styles that involved woodcut illustrations. 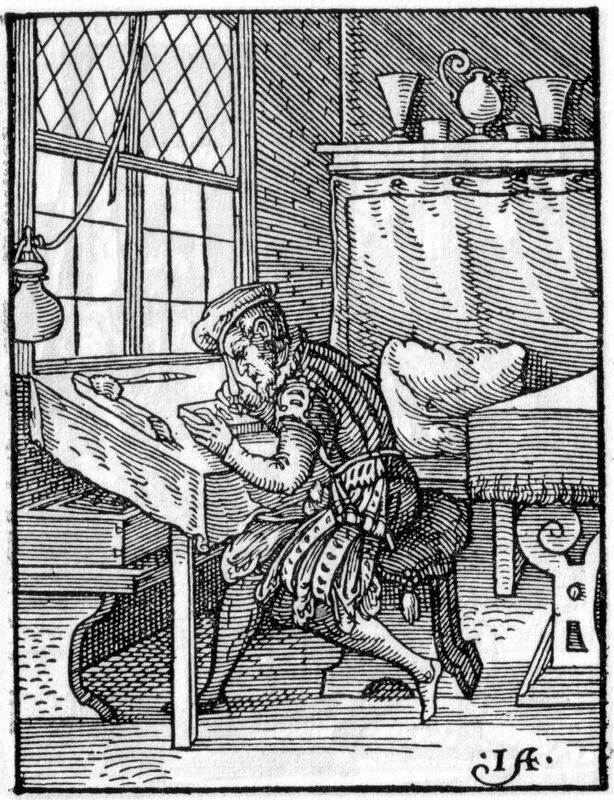 I decided to further my understanding through researching the general history of woodcut illustrations and by creating my own. Woodcuts are relief printing, where the part you want printed is left on the block, and the rest is cut away. Some common types of wood for woodcut illustrations are cherry, maple, beech, boxwood, and basswood. 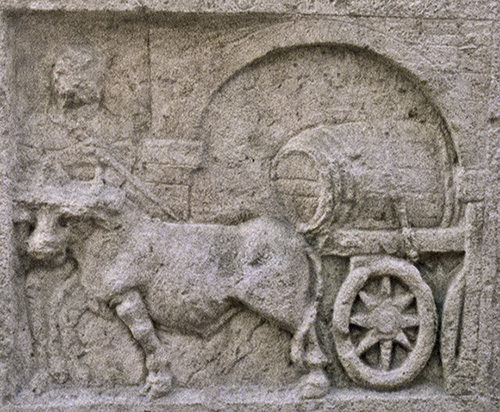 An ox pulling a wagon loaded with barrel. Wooden barrels have been used for the transportation and storage of goods for around 2000 years. Cooperage developed along with the growth and evolution of trade. Ancient civilizations like the Egyptians had been experimenting with open-ended wood and reed vessels held together with wood bands long before, but it was not until the refinement of iron processing technology that the crafting of barrels could be reliable. The Celts’ are credited with the development of the barrel around the beginning of the first millennium. The Celts shipbuilding and iron working skills were critical to the development of the barrel. Soon after, the Romans capitalized on the invention to store their own goods, and distributed the technology and the goods throughout their vast trade routes. Flavorings and packaging are two uses for wood in food and drinks, but never the less an interesting topic for the inquisitive. In the case of bourbon it is both. Wood has a long presence in the packaging of foods and through the development of new materials over the last 100 years it is interesting to see where and why it persists. 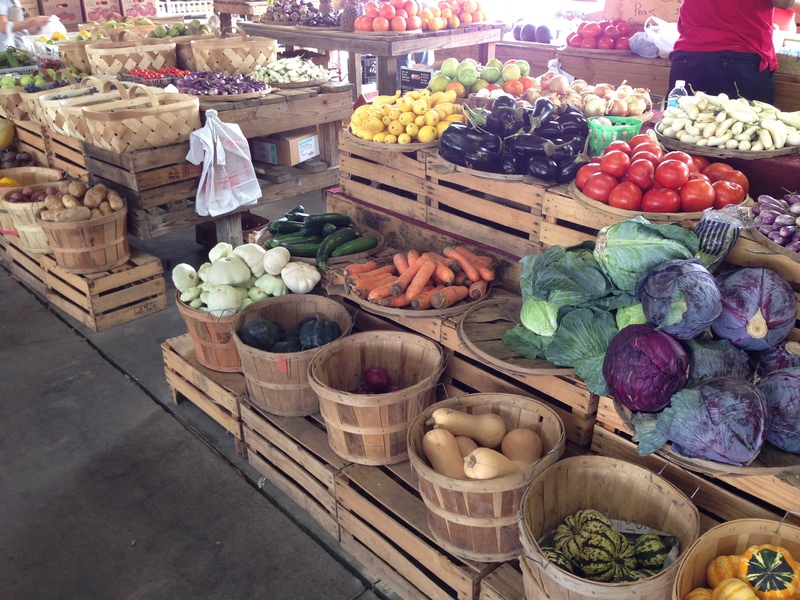 White oak, beech, and birch are just few that still have their place in packaging of foods today. Hickory, white oak, and mesquite are staples when it comes to flavorings. The Food + Wood Series elaborates on the application of wood as it applies to foods and drinks. Sports are a popular pass time and even they are intertwined with the wood. From baseball bats to bowling alley floors, to pool cues; wood is an integral part of many of the sports we enjoy. 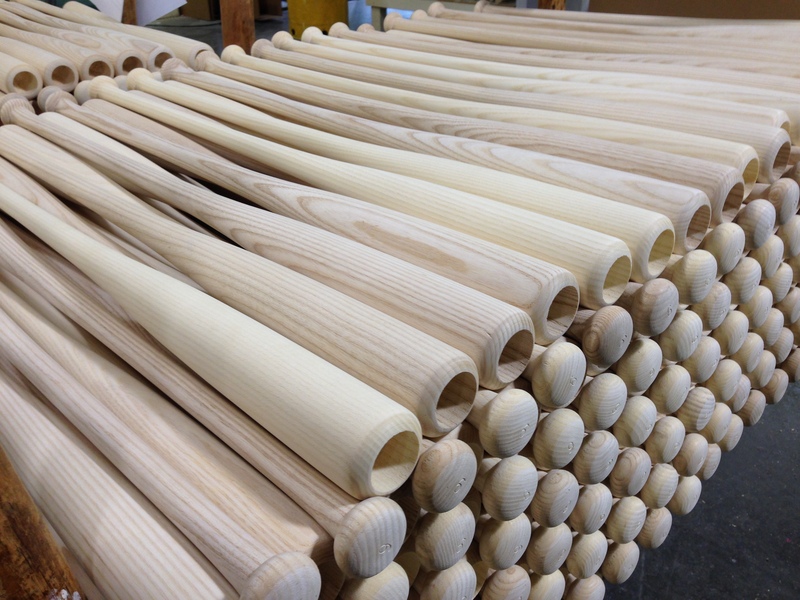 The application of wood in sports is both practical and simple. 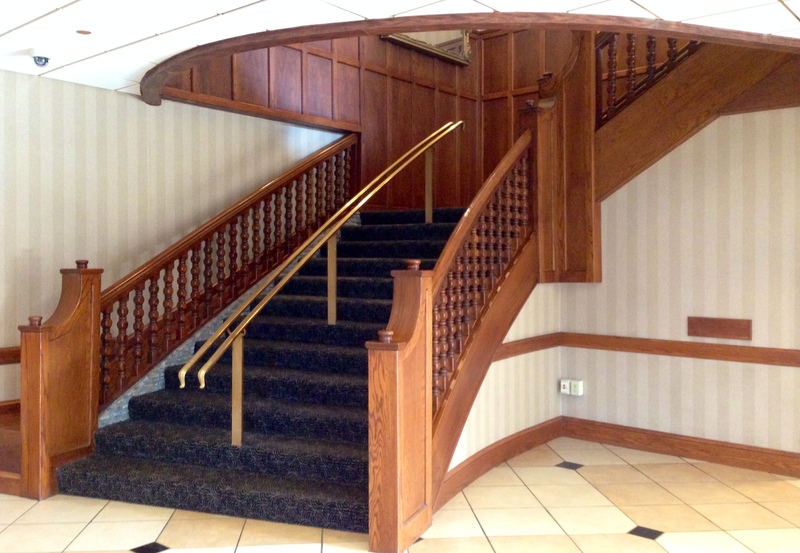 Various woods are chosen for their specific physical properties and less for their appearance. Both competitive sports and the use of wood goes well into prehistory of mankind; however I find it fascinating that combination of both rarely precedes the industrial revolution. The Sports + Wood Series elaborates on the application of wood as it applies to sports. 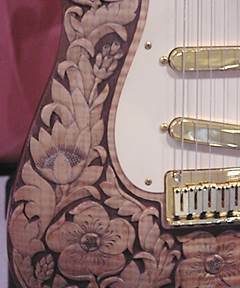 Music is a fascinating area when it comes to the art of woodworking. Wood adds to the beauty of both the music and the instrument itself. Music is, has been, and always will be an important part of culture. Until the refinement of metals and the development of synthetic materials wood was the material for instruments. Even today the finest instruments are made of wood. Pianos, guitars, and the woodwinds to name a few that are made from wood. Wooden instruments last and it is not uncommon to hear of a violin from the 18th, 17th, or even the 16th century sold in auction. The construction and the woods chosen for an instrument are not random, but are highly specialized. This forms an interesting overlap in the study of acoustics and wood science. The Music + Wood Series elaborates on the application of wood as it applies to instruments.